The Top 37 Gift Bloggers To Help You Find The Best Present Today! UPDATED! Sometimes, it might seem impossible to find the perfect gift for that special someone. Whether it’s Christmas, a birthday, or any holiday in between, it can be difficult to find just the right present for friends and family. Namplates.biz has taken the guesswork out of finding the right gift by compiling a list of the 31 best gifting blogs. With topics ranging from cost-effective DIY gifts to ways in which you can creatively wrap your new present, this list has everything you need to come up with just the right gift for the loved ones in your life. Also note that the blogs featured on this list might be numbered, but they are not in any specific order. we simply numbered them to make it easier for our readers. Dodo Burd has some of the coolest and most unique gift ideas. What’s best about their website is that the lists are so long that you’re sure to find something for your loved ones. You can also categorize by person, which is great for finding multiple gifts for people with very different personalities. For instance, you can easily find gifts for people who are on the ‘geeky’ side of things, as well as much more classican and traditional gifts. If you have a specific idea in mind, they also will have creative ways to present that gift. So, let’s say you know you want to send that special someone a monthly subscription box. Dodo Burd will have lists of the best monthly boxes to check out. There are lists like that all over the site, so even if you have only a little inkling of what you should get your loved one, you’ll be able to find something perfect. Overall, Dodo Burd is a fantastic way to find hundreds of gifts in one place, and we knew we had to include it on our list. The Gift Insider is great because it features everything from DIY printables to high-end gifts for your loved ones. No matter what your budget is, you’ll be sure to find something great for that special occasion. Especially because The Gift Insider will link you right up with the website that sells that merchandise you want to buy for your loved one, you’ll easily be able to navigate through the sea of the internet. They also have tons of coupon codes for each product that is featured on their website, so you can actually get a discount while using the helpful hints on the website. It’s no wonder the blog at The Gift Insider is so useful. 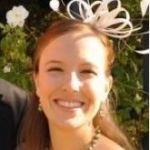 The founder of The Gift Insider, Lindsay Roberts, is nationally acclaimed as a gift expert. She has been featured on everything, from news segments to radio specials. With her guidance and help on the Gift Insider, you know that you’ll find just the right thing to give. This blog is unique in that it doesn’t simply contain a gift guide, but also has sections devoted to acts of giving, whether it be giving back to the community, family, etc. 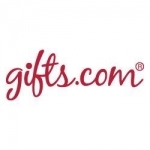 They have entire sections of the website dedicated to different groups that might be giving gifts, and helps givers find the perfect gift with posts that have realistic insight into what your loved ones want. 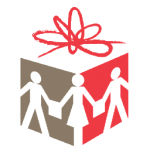 With an emphasis on the act of giving and what that means to different people, this website takes giving to a new level. Giving gifts, after all, isn’t just about the receiving end. It’s about an act of love, showing someone you care. With all sorts of gifts for all occasions, stories of people learning the true meaning of giving, and ideas for do-it-yourself presents, you will be glad to come across Gave That. Get inspiration for gifts and life with the Gave That gift-giving blog. Wantist seeks to have a wide enough selection of gifts so that you can find the perfect gift. They hope that their recommendations are like those of a great salesperson. With their selection of DIY favorites and unique spins on traditional presents, you’ll be sure to get what you want. The team at Wantist understands that sometimes trying to find a gift can be exhausting, mentally and, if you aren’t shopping online, physically. The founders of Wantist, Brittany and Jacob Reiff, wanted to give a place where you could find the perfect gift without many of the hassles that come with finding it on your own. They know that while it is of course awesome to give gifts and find that perfect present for your friend (or yourself), it can be hard to find just the right one. With the help of Wantist, it is far easier to find the perfect gift in a timely manner. 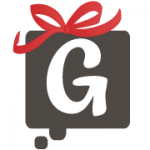 Giftster is a sort of life-long gift registry, which can be especially useful all year round. Whether your family is shopping for birthday, wedding, Christmas, or everything in between, this app will help them know exactly what you need. One of the coolest features about Giftster is that they have an app, which means that you can access your list everywhere you go. Another feature is that you don’t necessarily need to ask for a physical gift—you can ask for “time” in the form of chores, or other commitments like that. So, if you need specific chores done around the house or some help with a new project, you can ask family members to help you complete those tasks instead of getting a gift card again. Gift Registries are beneficial because you always can be surprised but will also get some necessities you might not be able to afford. It also allows your family and friends to chip in on more expensive gifts together, and doesn’t force an awkward conversation where you might feel you’re asking for something too pricy. 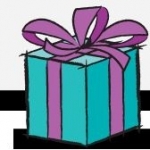 Next time the holidays roll around or you know there’s a birthday coming up, ask your friends and family to use Giftster. Then, you can sit back and use the app while looking for their gift and be sure to get them the right one! I Want One Of Those is a great blog for people who are looking for lists dedicated to small markets. So, you can look up the interests of your favorite people and find presents for them based on those interests. That’s one of the easiest ways to find the perfect presents, which makes I Want One Of Those a fantastic blog resource. They also feature many different competitions on their blog, which means that their consistent followers have the opportunity to engage actively with their website and get rewarded for their participation and consistent following. The giveaways are for everything from kitchen gadgets to vacations getaways, making them valuable and worthwhile. I Want One of Those’s blog is also connected to its website, which features many of the gifts and gift ideas presented on their blog. 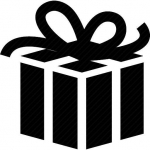 It is easier than ever to purchase gifts: you can look at the post and then navigate straight to getting the present. Giftovus is a blog and a social media site that allows you and your friends to remain truly in touch with each other in this ever-changing world. While many of the current social media platforms allow you to stay posted on the happenings of your friends, it doesn’t allow for real interaction. Other than a comment or a like, it is hard to be active in your friends’ lives via current social media. However, with Giftovus, you can easily share ideas with your friends and get their immediate opinion in a way that isn’t awkward. The reason the website is entitled Giftovus is that our friends our like gifts to each other. Sharing time, opinions, and our lives with our friends is a way that we give them special gifts. Because this website encourages a different way of thinking about gift-giving, of becoming closer with those we love in our lives, we thought we should definitely include it on our gift-giving list. The Goods by Uncommon Goods has quirky and fun gift ideas for your friends and family. Instead of getting a boring and hum-drum gift for them this year, The Goods has fantastic ideas that they’ll be sure to remember for every occasion. With a slew of writers and editors to give unique perspective on each uncommon good, there is no shortage of opinions. And, because Uncommon Goods is completely focused on finding unique gifts to give, it’s great to have so many perspectives and contributors. The Goods also features contests for all of its followers. 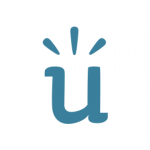 Using the hashtag #UGInstafun, you can enter contests to win money towards your next UncommonGoods product. The contests are easy to enter, and for the avid social media enthusiast, it would be simple to enter. The Best Gift Idea has many unique gift ideas, many of which are service related. This is a great blog for those hard to buy for people—we all have one or two. With this guide, you’ll find plenty of ideas for the person who seems to have everything. All of the gifts on this website are linked to products that can be found on Amazon. One of the benefits of having these products linked to Amazon is that they will be less expensive to purchase, especially if you have Amazon Prime. This blog also has gifts broken down into different categories, like gifts for women, men, etc. This makes it simple to organize and navigate throughout the website to find gifts more geared towards the people for which you’re shopping. Once you find the gift that’s just right, you’ll be directed to Amazon or another affiliate to make your purchase. Couldn’t be easier! Gifts.com has some of the coolest gifts on the market. What’s unique about their system for finding gifts is that they have multiple levels through which you can refine your results. With this much organization, there’s no way you won’t find a gift that’s perfect.Gifts.com also gives you a simple way to find the best gift for your special someone by filling out a personality test. With this personality test, the gift experts will generate different presents that they feel will align perfectly with the interests of the person receiving the gift. Asking about their age group and other personality traits of each individual you’re getting a gift for, there’s a good chance you’ll find just what you’re looking for at Gifts.com. The most unique part of Unique Gift Ideas Blog is the Gift of the Month section. In this section, the blog features one especially cool gift that your loved ones will be sure to adore. In addition to this, there’s plenty of other cool gifts all over the website that will peak the interests of all your friends and family.The blog was created by Carol Ann, a working mom who edits at a magazine and has a passion for giving. She tries to search for gifts that are especially unique, and notes that you shouldn’t settle when you’re getting a gift for a friend. She also has a series of occasions for which she has associated gifts. Some of the occasions aren’t exactly mainstream, so you might even learn a thing or two about new reasons to give gifts throughout the year with this blog. No matter where you look, there’s unique gifts all around this blog, helping you find just the right present for that special someone. 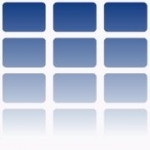 Gift Gen is a gift suggestion website that completely customizes your results. All you have to do is select a price range, age range and gender to generate hundreds of gift ideas. It couldn’t be any simpler! Based out of the UK, this unbiased site helps you find the perfect present by breaking down results into categories appropriate for different age groups, genders, and even for couples. With an app that makes this convenient for the store, this website is a must-have around the holiday season for that person who’s always hard to buy for. It even allows you to narrow results by how much you want to spend, leaving you with a present no matter your budget. Personalized Gift Ideas is perfect for the special someone that you want to send a specific and tailor-made message. These have many gifts ideas that you can put names, initials, and everything in between on. Personalized gifts are unique and special because they show the person you’re giving the gift to that you didn’t get the gift last minute. You thought of the gift, put time and effort into choosing something they would love, and didn’t run into a drug store on the way to the party to grab a cheap present they won’t use. Personalized gifts are also a great way to leave favors at parties: for example, Personalized Gifts Blog lists Koozies as a potential favor for a Fourth of July party, where there will probably be a lot of canned beverages. Personalized gifts are sentimental, meaningful, and this blog will help you find just the right one. 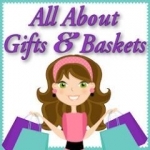 All About Gifts And Baskets has some of the best DIY presents for kids. Nothing is better for grandma and grandpa or, well, really anyone for that matter, than a gift from the kids. These kinds of presents will last a lifetime and the one-of-a-kind masterpieces your kids make will be cherished forever. In addition to presents that are great for kids to help make, this blog has a slew of basket ideas. Baskets are a great way to give gifts because they give you a way to give lots of small presents at one time. While you might think the gifts separately are paltry, together they create a unique and cohesive present. With ideas on everything from themed baskets to food ones, you will find the perfect way to arrange a basket present on this blog. Between the basket ideas and other gift ideas on the blog, this blog provides tons of ideas on what to give for any occasion. 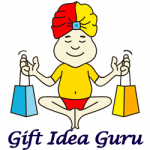 The Gift Idea Store has categories for their gift ideas, and many of them are based in travelling. This website is perfect to find the gift for the person in your life that has some serious wanderlust. Aside from gifts about wanderlust, there are other cool items on the blog. The blog’s creator puts up interesting pieces he finds online, which makes them unique and different from the crowd. Many of these pieces have a vintage edge to them, making them especially appropriate for quirky, antique-loving friends and family. Searching through the pages, you’ll be sure to find some pieces you had never imagined finding, and you might come across just the right one for your next occasion. The Gift Ideas Guide has a ton of resources on safe online shopping, especially purchasing gold online. If you’re thinking of making any large online purchases, make sure you check out their guides on buying gold online. Keep your cards safe and your wallet happy with their guides! They have plenty of recommendations for ensuring that your transaction is safe, you don’t get your identity stolen, and that the purchases you’re making are legitimate. 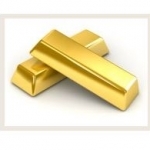 They also have tips on different investments you might want to make, all revolving around gold. Because gold is so valuable, it’s also one of the most risky things you can purchase online. With the posts by the Gift Ideas Guide and their helpful hints on purchasing different goods, your purchasing will become much safer. 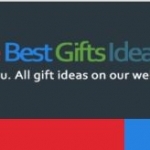 1000 Gift Ideas is great at giving reasoning behind purchasing certain gifts for your family and friends. With articles for every occasion, you’ll be able to reason out why you should get a gift for your loved ones, and in the end you’ll give a thoughtful but practical gift. 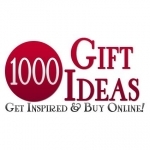 1000 Gift Ideas focuses much of its blog on jewelry, which is needed and necessary. Jewelry, after all, is one of the largest markets with some of the most expensive products. It’s only right that there be plenty of articles to help gift-givers find just the right piece for their loved ones. With everything from which kinds of pieces are right for which occasions, what different considerations to make when picking out different sets of jewelry, and selecting the perfect diamond, you will have everything you need to find the right piece. Many of the gifts on the website are also linked to weddings. Because weddings are so full of giving—love, gifts, wishes—it is a great idea to read a few articles on what wedding gifts are trending and what is popular to give. Don’t get left behind on the trends and check out 1000 gifts today! 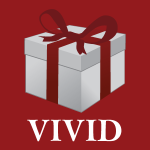 Vivid Gift Ideas has a thriving community on Pinterest which it supplies with tons of ideas and articles on gift giving. Whether you have a friend that is part of a specific interest group or are shopping more generally for a wife or boyfriend, you will be sure to find plenty of great ideas on this website. This blog is constantly kept up to date, with consistent postings from the owner of the site, you will always have the latest gift ideas. There are tons of lists of unique gifts for all occasions and different people receiving the gifts. They also have lists of gifts dedicated to people with specific hobbies, like people who are interested in athletics or even fans of zombie lore. With lists covering almost every kind of person, like moms who just seem to have everything or male ballet dancers, there will surely be a list geared towards the person you’re buying for and you’ll find some seriously unique and cool ideas there. The Gift Idea Guru categorizes your gift ideas by occasion, which is important if you’re looking for a last-minute gift. Quickly and efficiently find a gift idea using their easily-broken-down system for categorizing gifts. Follow them easily with their numerous social media accounts. There, you’ll find posts about tons of different ideas that are perfect for any event you plan on holding. With this website, you’ll find lots of creative ideas that will be perfect for anyone you’re buying for. 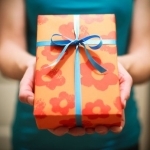 Great Unique Gift Ideas is connected to a store, which makes purchasing the gifts as convenient as can be. Whether you’re shopping for a techie or a homemaker, the ideas on this blog are relevant and unique. You can break down searches for personalized gifts or by overall category, which means you can look for specific products for rooms in your home or you can find gifts appropriate for different occasions. 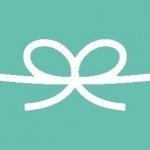 On their blog, they offer advice about selecting unique gifts for people. Because the store is constantly updating with new products, the unique gifts never stop coming and you’ll find inspiration every time you enter the website. For a wide selection and to find some truly unique pieces, visit Great Unique Gift Ideas. A Gift Wrapped Life has some incredible ideas for making your gifts gorgeous as you give them to your friends and family. Don’t let your gifts be drab and boring—with these helpful hints, your packages will be the prettiest ones your friends and family have ever seen. 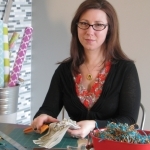 Sande Chase, the gift-wrapping artist from Ontario, Canada, has a passion for packaging. She admits that she finds wrapping gifts to be a creative passion and an outlet for expressing herself. From looking at her blog’s look book, you can tell she has talent. From gorgeous silk ribbons to accents that define and identify her presents as unique. With her ideas, you’ll be sure to find some unique ways to wrap your presents. In addition to having some fantastic ideas on how to wrap presents, Sande also has a shop on her blog that allows you to get your very own wrapping supplies that were inspired by her blog. 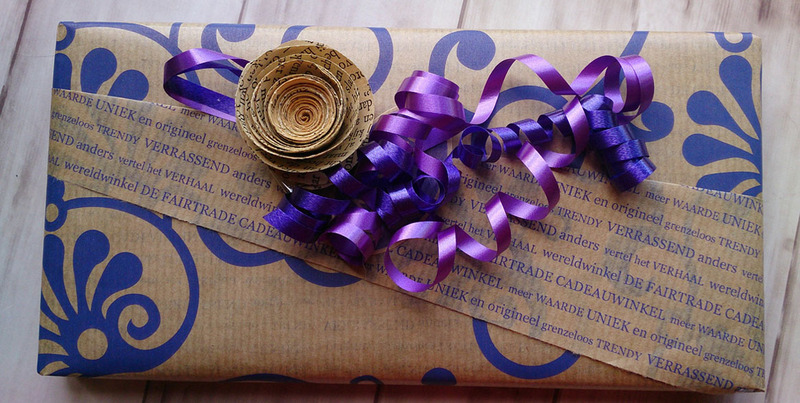 Now, it couldn’t be any easier to find a gorgeous way to wrap your next gift. 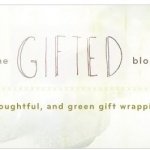 The Gifted is the top eco-friendly gift-wrapping blog. It has some innovative and useful tips for reusing different resources around your home for gifting, wrapping, and overall cutting down on the waste that often comes with giving presents. Especially for gift-givers who are conscious about the potential impacts that their giving could have on the environment, this blog is a fantastic way to think outside of the box and find new, unique ways to repurpose everyday items into packaging material. The owner of the blog, Charissa, is a mom who encourages her children to be creative while gifting while also being sustainable. Much of the blog is centered on activities she does with her children and the power of DIY. With printables, tips and tutorials, and directions that even the person most loathe to wrapping gifts can follow, this website is a hub of inspiration. Jessica Mazurkiewicz, founder of Creative Gift Wrapping, has a blog that accompanies her kit on creating beautifully wrapped gifts. The blog has just a few examples of her work and how you can take everyday paper and ribbons and make something truly unique and special. If you like her designs, you can get her kit and begin creating your own masterpieces. In her kit, Jessica gives her readers a tutorial book with different wrapping papers, ribbons, gift tags, stickers, and a ton of inspiration. Jessica herself is a creative person, constantly trying out new recipes and other DIY ventures. Her blog features gifts she’s wrapped personally, noting her own personal struggles so that her readers don’t make the same mistakes. She also tries to make her wrapping efficient, choosing simple designs that only take a little while to put together but that will still leave her packages beautiful. For a kit and the tools that will help beginners take that first step towards beautiful gifts, Creative Gift Wrapping is the place to go. The Wrap iT Blog is great for giving tips on storing wrapping paper, creative ways to wrap gifts, and overall hints on making your gift wrapping life easier. Check it out for some of the best storage tips around! 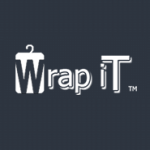 The Wrap iT blog features the different benefits to each Wrap iT product. Wrap iT is a way to store wrapping paper in the simplest way possible. Clunky wrapping paper rolls can be the bane of any wrappers existence. However, with a Wrap iT, the paper, ribbons, tape, scissors, and anything else you might need for your gift-wrapping adventures. Storing conveniently under a bed or in a closet, this device will help you save space and get rid of clutter. Homemade Gifts Made Easy is exactly what it sounds like: easy ways to get that DIY gift out. You don’t have to be a craft expert to complete these projects, which is the best part. Her easy step-by-step tutorials make it easy to master the art of crafting. Many of her projects feature print outs, which make it even easier to give presents that are personalized. You can break down the gifts that Stephanie Locsei makes by holiday, the person who’s receiving them, or the kind of gift you need. Because you can categorize this much, you will find exactly what you’re looking for quickly and efficiently. If you aren’t the craftiest person but love the designs on Stephanie’s blog, she sells many of her designs on her blog. With this, you can have the look of a homemade gift without worrying about making it. Stephanie Locsei and her husband Tobias work together to make the site as great as it can be, and both write articles about gifting. While Tobias covers money folding and origami, Stephanie covers many of the other crafts. For a full menu of inspiration, check out Homemade Gifts Made Easy. The Homemade Gift Guru has hundreds of ideas for party planning, wrapping, and making your own personalized homemade gifts. Jesika Heffley, founder of the site, categorizes her gifts by the skills you might already have, like decoupage and tie-dye. With this website, you’ll be able to strengthen your skills in areas you know and gain new ones! Jesika Heffley believes that homemade gifts enhance life. They are more sentimental, special, and help us realize what’s important about a relationship. She knows the power of a homemade gift: creative gifts that are personalized to your friends and family will make them feel even more special and loved than ever. They will know that you spent energy on their gift, so the gift isn’t just a physical object, but also is an investment of your time and thought. This is one of the most powerful things you could give a friend, and is a perfect way to show your love. Do It Yourself Gifts has an incredible amount of gifts, and overall has everything you need to give a great present. The blog features all sorts of gifts, broken down by occasion, and even has card ideas so that you aren’t without anything. For the complete package, this is the place to go. Tiffany, the founder of Do It Yourself Gifts, is a mother of four and an entrepreneur through this blog. She loves what she does as a crafter, and is passionate about teaching her readers about DIY and the world of making your own gifts. She even has a section of the website where you can submit your own idea for gift making. So, if you’re equally passionate about DIY and think that an original idea you’ve had would fare well on her website, submit your original work for a chance to be featured on her blog. She also has a free newsletter you can sign up for, which means you can get all sorts of ideas sent right to your inbox. The Best Gift Idea blog has lots of ideas that are either homemade or DIY, and most of which are printable. DIY presents are thoughtful and personalized ways to give your family members and friends gifts for all occasions. With these lists of homemade gifts, you’ll find something for sure. With everything from coloring pages to gift ideas for children and everything in between, this website has everything you need to give successful DIY presents. For the most part, all you need is a printer and some creativity. Easy Homemade Gift Ideas is a great place for finding simple homemade gifts. To give a gift that has meaning and is more sentimental, check out this blog for tons of DIYs. If you already are a DIY expert, you can submit your ideas to the blog to be featured on their “Meet the Crafty Homemade Gift Maker” section. There, you’ll find tons of ideas from all kinds of readers. If you want to create an inexpensive and sentimental gift, check out this blog. Also, check out their Pinterest page, which is stock full of different ideas to try out. Evermine is a party planning resource like no other. It has presents for your guests, printables for decorations, ideas for games, drink recipes, and everything in between. Before you plan your next bash, make sure you hit up this blog. It aims to provide thoughtful and meaningful party favors. Especially for occasions like weddings, having favors to let your guests know that you appreciate them is an important part of process. The blog will give you ideas for what are the coolest favors, while Evermine’s website will provide you with the labels and other paper products to personalize your favors completely. After all, a witty phrase or a personalized thank you note on each favor is what really makes it special. To create the most meaningful party favor memories for your guests, check out the party favors blog at Evermine. If you’re planning a wedding, check out their blog that is specifically dedicated to wedding favors and other stationary products. Accent the Party has a ton of printables and ideas for favors for every kind of party. Whether you’re planning a baby shower, bachelorette party, or wedding, the favor ideas that this blog has will be perfect. And, with the printables on their blog, your favors will be personalized and chic. Online Labels’ blog also has ideas for different DIY projects you can complete to go along with the labels you create. Because labels are made in mass quantities, they lend themselves to party favors, which is why we included them on this section of our list. However, the DIY projects on the blog are also valuable to know. Overall, this blog has an incredible selection of ways that labels can be used to make your party favors more personalized and special for your guests. Online Labels Blog has hundreds of different fonts that will make your gifts much more personalized and special. Many of the printables they feature on their blog are free: however, if you’re not able to find exactly what you’re looking for, you can always go to their website and buy one of their templates. Online Labels’ blog also has ideas for different DIY projects you can complete to go along with the labels you create. Because labels are made in mass quantities, they lend themselves to party favors, which is why we included them on this section of our list. However, the DIY projects on the blog are also valuable to know. Overall, this blog has an incredible selection of ways that labels can be used to make your party favors more personalized and special for your guests. Many of the party favors on Cherished Gift and Gift Favor Inspirations are specifically geared towards weddings, but they would all make great favors for just about any occasion. They are also themed for different seasons, which will help you personalize your event one step more. All of the wedding favors are personalized with labels that will give your favors a personalized touch. It also takes all the grunt work out of making a favor, which can be tedious, especially during hectic wedding planning. 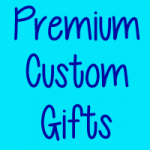 In business since 2003, Party and Wedding Favors knows exactly how to find you the right party favors for your event. Looking at the testimonials from their customers, they are more than pleased with their purchases. Leave your guests thrilled when they leave your event with some unique, personalized gifts from Party and Wedding Favors. What’s cool about this blog is that it’s connected to its parent website where you can purchase all the products listed. They also go into detail explaining the significance of different favors and why we give favors at weddings and other events. Overall, this blog is a great resource for both purchasing and gathering information about party favors. All of the wedding favors are personalized with labels that will give your favors a personalized touch. It also takes all the grunt work out of making a favor, which can be tedious, especially during hectic wedding planning. In business since 2003, Party and Wedding Favors knows exactly how to find you the right party favors for your event. Looking at the testimonials from their customers, they are more than pleased with their purchases. Leave your guests thrilled when they leave your event with some unique, personalized gifts from Party and Wedding Favors. Thoughtfully Simple has many ideas for party planning in general, and then also has ideas for making your own party favors. As one of the best resources for DIY party favors, we couldn’t keep from including them on our list! Thoughtfully Simple was founded by Tori Tait, a mom of two who loves DIY and creativity as much as she loves marketing and a good cocktail recipe. 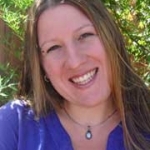 She is passionate about building businesses online, and that fuels her passion for other projects. 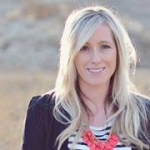 She is invested in helping women entrepreneurs get their online marketing and building skills down, and hopes that her blog can be seen as an inspiration for that. In addition to party favors, she has tons of other tips about parties that will help you throw the best party ever. 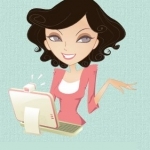 If you have an event coming up, make sure to check out her blog! 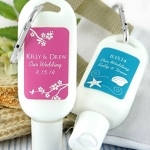 Little Things Favors has a blog specifically for wedding favors. Because wedding favors are some of the most important thank-you gifts you’ll give. To find the most unique, personal, and exciting wedding favors on the web, you should definitely take a look at this blog. In addition to giving you a platform to buy your wedding favors, they also have tons of ideas about what you should give your friends, family, and attendants at weddings and other parties. So, you can get inspired to find the perfect gift for your favorite people and then purchase it right there on their website. It couldn’t be any easier! Their website and blog is always up-to-date with the latest trends and information about party favors, so you will be sure to find exactly what you’re looking for. 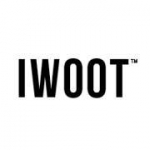 In business since 2003, this website has watched wedding and party trends for years, and knows what it’s talking about. For expert opinions on what to do for your big day, check out Little Things Favors. Party Ideas Blog has some of the most unique ideas for parties on the internet. Whether you’re planning a bachelorette bash or a sweet baby shower, the ideas on this blog, including their lists of unique favors, will be sure to wow your guests. Party Ideas Blog is great for helping you plan every aspect of your event: from attire to favors and even creative drink ideas, there is an idea for every kind of party. All their parties are broken down by event type, so you can easily find ideas for everything from a Super Bowl Party to a formal wedding. For ideas regarding every kind of party, this is the place to look. Each party type has numerous favor ideas in it, so you also know that you can find themed favor ideas that are perfect for your event on this blog. Name Plates offers beautiful, custom wooden desk name plates and wall signs. Every piece is crafted from American hardwoods.